For Mother's Day my family gave me, amongst other things, a kit to make myself a bag. Bag making is something that I would like to feel more confident at so one has to start somewhere. It is by no means perfect but it is fully lined and has a pocket for my keys and phone. PLEASE feel free to point me in their direction. What a great bag, you've done a great job :). I am a great fan of these terra cotta brown/oranges. 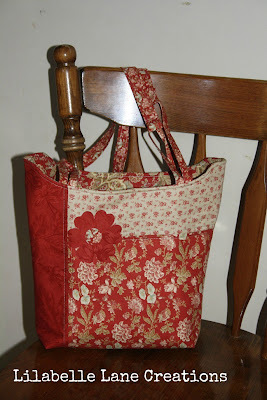 My bag making skills are improving as I go along, and kits are a great way to takeon new skills. Oh, and I love your scrap buster block for bottled rainbows. I've only got as far as setting up my bottles and beginning a collection. You have done a marvellous job on the bag. It looks lovely. You have done really well. 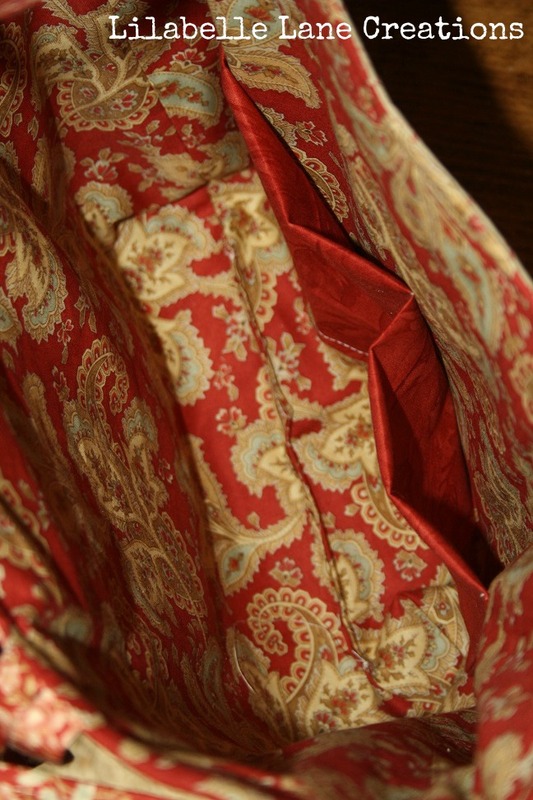 They chose gorgeous fabric for you. Your bag is lovely. If you're looking for more bag patterns that are easy, try LazyGirl designs. She has tons of patterns and they are "for lazy" girls like me. Lots of short cuts with beautiful results. Beautiful bag, I haven't tried bag making yet, love yours though. I love your bag! You've done a great job. I've never made a bag, and I'm not sure if I'm brave enough to ever attempt one.